From headphones to smoothies, there are premium prices on just about anything folks are willing to pay for. By its definition, a luxury item isn't something you'll need, but an improvement on something you'll want. A Nissan Versa will get you around town and to the office, but a Bentley Mulsanne will do so more comfortably, quietly and with more toys and features. Plus it just looks better in the company lot. Your family will do just fine in a three-bedroom house in Anysuburb U.S.A. but an 11-bedroom spread in Pacific Palisades that your kids can return to during summer break from Eton has a bit more gravitas. Southwest Airlines and its cattle-call seating will get you from Point A on the map to Point B, but a Gulfstream G650 will make that trip a lot more bearable. That's the luxury market in general: take some fairly benign item, upgrade it both aesthetically and materially with more than it would ever need to accomplish its task, charge a premium for it and watch its prestige swell as it is embraced by those with enough capital to afford it. The only limit is what the buyer is willing to pay, which is why just about anything can become a luxury item. You can grab one of the Series 2 Apple Watches for $270 or trick it out with a stainless steel case and space-black band for $700. However, if you're less interested in a watch that is waterproof for up to 50 meters and has a workout GPS and more interested in a watch that says, "Hey, I dropped more than a grand on a watch that will be obsolete by this time next year," boy does Apple have the watch for you. So what does that extra $400 to $1,130 get you? Leather. 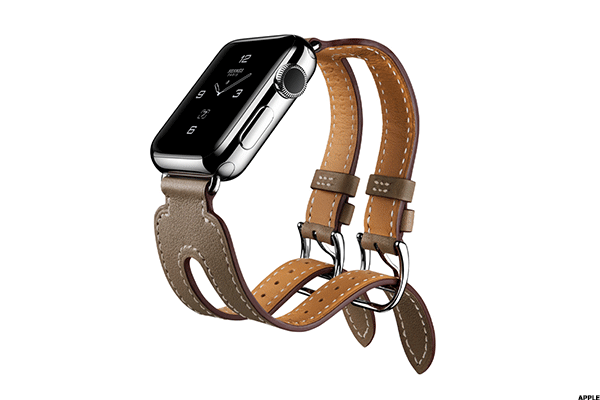 Sure, it comes in 38 mm or 42 mm and single and double cuffs, but you're basically paying for various colors of leather and white stitching. We won't dispute that it's far more stylish than the other Apple Watch offerings, but whether it's multiple Apple Watches more stylish is up to the consumer. The Democratic National Committee, Colin Powell, the Panama Papers, the iCloud leaks of celebrity photos back in 2014: if you're a high-profile figure or even someone well off enough to be blackmailed, you know smartphone and cloud technology is no safe bet. 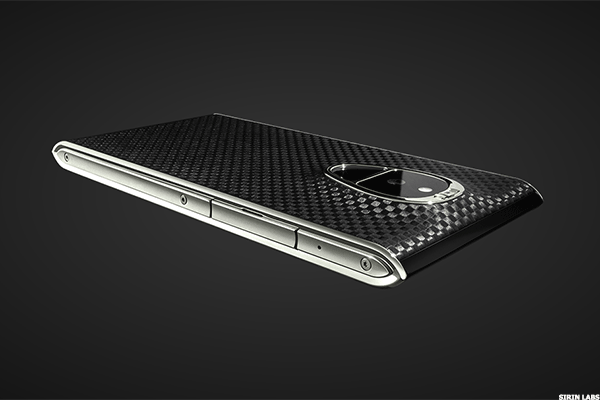 Thus, when Israeli firm Sirin debuted this phone earlier this year, both Leonardo DiCaprio and Thomas Hardy went on stage to vouch for it. We're guessing that just about every political organization in the U.S. will be at least inquiring about them after this election cycle. With thousands of different components and help from security firms KoolSpan and Zimperium, the Solarin is built to make your digital fingerprint disappear. Using chip-to-chip 256 AES encryption activated by a special switch on the back of the phone, the Solarin walls off any communications while giving you a stylish little handset to play with. Its Qualcomm Snapdragon 810 processor with X10 LTE and Wi-Fi has 450Mbps downlink speeds and up to 150Mbps uplink speeds -- despite the processor's wonkiness in Samsung handsets. Its 4.6Gbps connectivity is far faster than other phones and provides wire-fast docking, instant media syncing and cloud access and streaming that's almost equivalent to what comes though your HDMI cable at home. With a long-lasting, fast-charging battery, aerospace metals, Gorilla Glass screen, leather backing, 2K resolution and a 23.8 megapixel camera, this would be a high-end Android smartphone even without the safety features. With them, it's almost more necessity than luxury of celebrities, executives and politicians alike. Think Dr. Dre pulled one over on the headphone-buying public by pushing the price of headphones -- that most people are using to listen to low-quality streams and MP3s, mind you -- to three figures? It turns out he's likely undercharging. 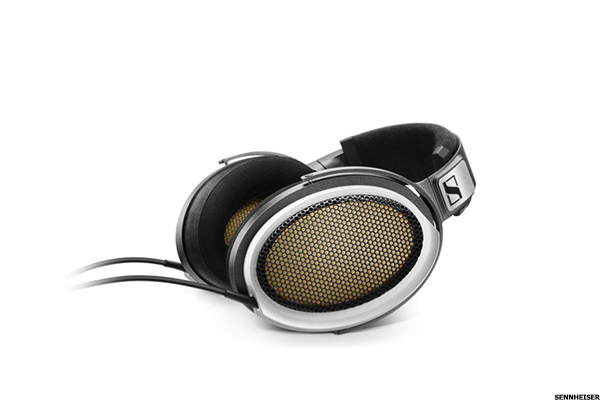 Dre could charge into the low thousands for Beats headphones and still never come close to the price of the Orpheus. However, compared to electrostatic headphones, Beats and other premium headphones are plastic cups with string attached. Sennheiser released its original Orpheus HE90 headphones in the '90s and didn't have to to tinker with them much, since nobody has come up with a better technology (For a comparison to other headphones, start here). The electrically charged mylar sheet that's several times thinner than a grocery store produce bag and the conductive plates it vibrate off of create sound that's the cleanest you'll ever hear out of a pair of headphones. However, the Orpheus HE 1 isn't just a pair of headphones: it's a pair of headphones in a box that automatically flips open when you turn on the giant marble-encased amplifier that comes with them. The amp has eight vacuum tubes that are freely suspended in the marble to cut down on ambient noise. There's another amplifier in the headphones themselves to cut down on the amount of voltage need to run them (the HE90 was a power hog). Is pure sound worth the price of a Corvette Stingray, Porsche Cayman, BMW Z4 or Audi TT at a time when mainstream music listeners are ditching cabled headphones altogether? To audiophiles, absolutely. This knife is never going to be used to carve a ham. They aren't going to be used to cut tow cables or boat-clean a grouper. 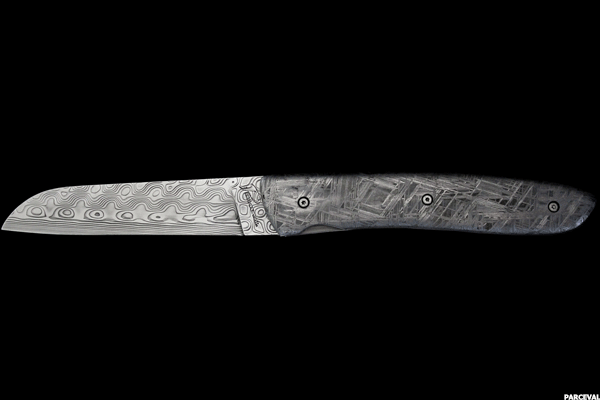 It isn't even going to be kept on a rack somewhere and handled by friends, like the $4,700 Damascus Steel versions are. No, this one goes under glass, gets its own alarm and is perhaps covered by a decent insurance policy. When you spend as much on a knife as you do a BMW 6-Series or a Cadillac Escalade, it pays to treat them it with as much care and reverence as you would those vehicles. U.K.-based Perceval knows its collectors and gives them this knife with a handle shaped from the Imilac pallasite meteorite found in 1822 in the Chilean portion of the Atacama desert. The metallic pallasite meteorites are a tough find, since they're basically the material at the core of planets and are believed to be the universe's base element. The one used for this handle came off of a disintegrating comet that's estimated to be more than 4.5 billion years old -- or about as old as Earth itself. Covered in 24-carat gold leaf, this knife should likely never be sharpened, used or even handled. It's an artifact (albeit a mutilated one), and it should be enjoyed at a distance -- as it was when it was just a tiny speck streaking across the night sky hundreds of years ago. We aren't going to attack Gwyneth Paltrow any more than we would our parents' friend who makes pillows out of old sweatshirts and sells them on Etsy or the stores in tourist destinations that sell painted planks of wood with "It's Wine O'Clock Somewhere" stenciled onto them in four different fonts of contrasting color. You have to embrace your passion and do what moves you. If playing Pepper Potts every few years or so in a Marvel Comics film and cashing a Disney paycheck isn't what does it, then why not do a lifestyle site? Also, if you're going to put together a site that's true to who you are, why not portray life as you live it? 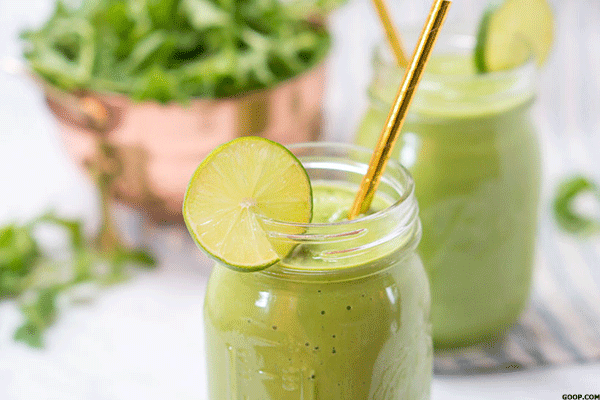 No, the ingredients in this smoothie aren't cheap. Maca, Ashwagandha, ho shou wu, cordyceps and the "moon dust" aren't always on hand, and the "Moon Juice" dusts sold on Goop can run upwards of $65. Vanity Fair notes that while all of those ingredients might add up to $225, it's actually about $10 per serving, about half of which is the cost of moon dust. No, it isn't Jamba Juice cheap, but considering the assets that Paltrow has to work with, it isn't the most cost-prohibitive luxury, either.